Even though temps are still pretty high around here my attention is focused on Fall – Fall workshops that is. I’ve been working on several projects this summer that will be offered this Fall as workshops and I wanted to share some sneak peeks with you all. My calendar is being updated as workshops get confirmed so check back often. 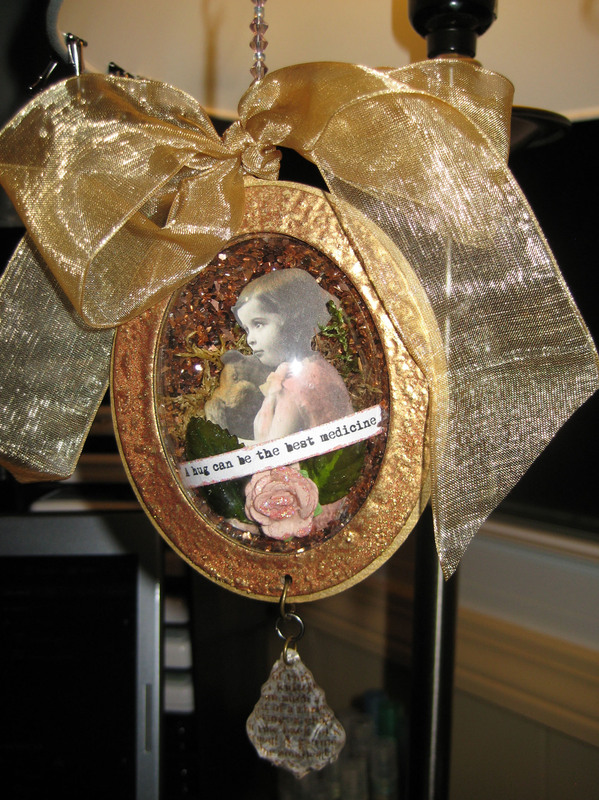 This next workshop, “Glimmers of Hope,” came about as I was designing a project for the Graphic 45, Art Glitter and Want2Scrap Blog Hop recently. The project received so many nice compliments (thank you to all of you for those! ), and is able to work so nicely into a workshop. 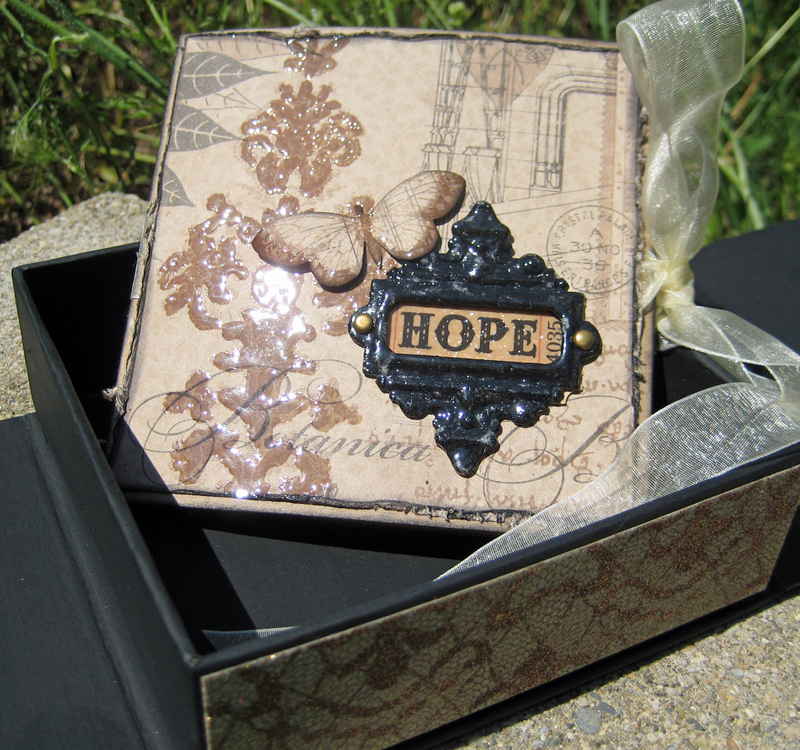 I’ll teach you how to turn a Graphic 45 plain craft-paper box and accordion book into a beautiful keepsake. Once again, we’ll use those gotta-have-’em papers from Graphic 45, Art Glitter and Ranger products – more technique! Who doesn’t love hand-made ornaments? These cute little globe ornaments from Globecraft Memories are so much fun to create with. You can put just about anything inside them – they’re not just for the holiday season! This workshop will really get into fussy-cutting using some Crafty Secrets cut-out sheets. We’ll add some bling, by way of Art Glitter and Want2Scrap and you’ll be able to play with the new Piccolo embossing enamels from Globecraft Memories too! 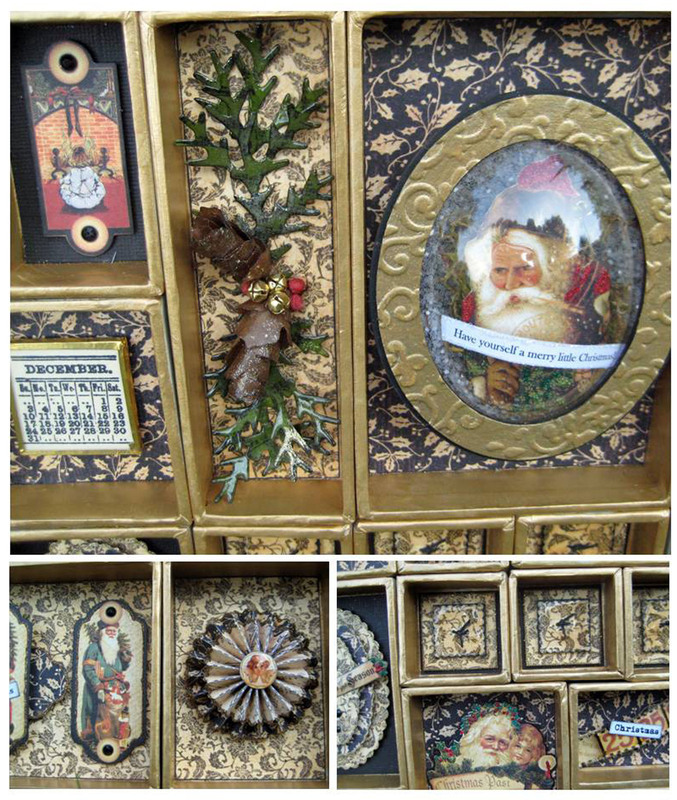 Join me in this “Victorian Gewgaw” workshop. There are a couple more in the works still. As soon as the samples are done you’ll find them here so check back often! Any of these workshops can also be scheduled for private groups of six of more in your home or other location. Contact me via my email: lneffscraps@gmail.com to make arrangements. Glitter and acrylic – a perfect marriage! Thanks Kaye! hope to see you soon! Thanks Therese! Isn’t it fun to make your Christmas gifts? Classes are scheduled in Saginaw at Scrapbook Peddler so far – click on ‘linda’s calendar’ in the right column for dates and times. Thank you, Marjie! I really enjoyed creating them!